Should You Buy a New Android Phone Now or Wait? Buy a New Android Phone Now or Wait? 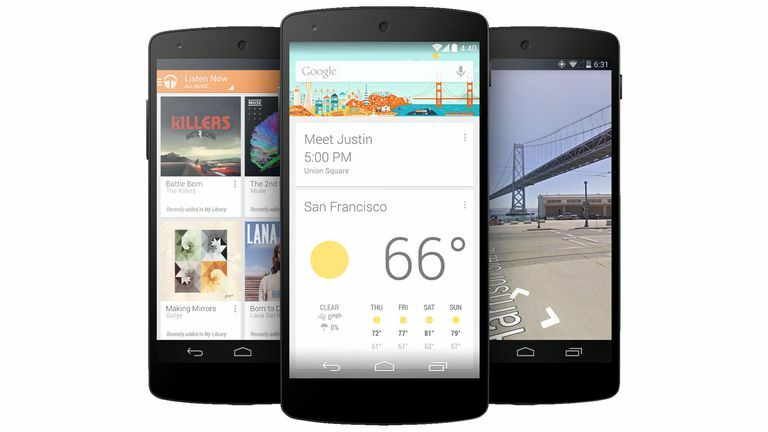 The new Android models are on their way, so should you hold off your purchase? Let's say that you're eligible for a new phone with your cellular phone provider. Good for you! So, you head out to your local retail store and begin testing out the many different Android models that are available. Depending on what provider you use and what store you go to, you may be a bit overwhelmed with all your choices. So, you decide to head home and check reviews on your short list of Android phones that you like the most. You do a Google search for Android phones, and you quickly find out that there are several new and improved Android-based smartphones set to hit the market any day now. Now, what do you do? You can either wait for the new batch of phones to be released, then start the whole process over again, or you can buy one of the ones that made your short list during your store visit. This article is intended to give you some suggestions and though stimulator's to help you with your decision and is not intended to steer you to purchase any particular Android phone model. In my experience, there will always be new Android models coming out and you will have to decide whether to "buy now or wait" nearly every time you are thinking about a new phone. All of the information below should apply no matter which company makes the Android phone you choose, including Samsung, Google, Huawei, Xiaomi, etc. That doesn't necessarily mean that the improvements will be relevant for your needs. As of the writing of this article, most Android phones are 3G but many of the "soon to be released" models are built to work on 4G networks. But if getting blazing Internet speeds are not important to you, the new phones technology improvements shouldn't mean much to you. Though 4G will be around for a while, know that in the competitive cell phone industry, there will be another major network upgrade that will probably come during your next two-year contract cycle. If you would rather not spend a couple (or a few) hundred dollars on a new, state of the art phone, realize that whatever phones are currently available will drop in price after the new phones are available. Just because there is new technology available doesn't mean that the replaced or upgrade technology is obsolete. Consider Apple for a minute. When they released the iPhone 4, they announced that they would no longer be supporting the iPhone 3 and earlier models, but they will continue support for the iPhone 3Gs. If the Android phone manufacturers follow the same line of thinking, they will probably stop supporting older Android models. This support loss may or may not come and if it does happen (which most likely it will) it may not happen until well after you two-year contract expires. Regardless, this is something you want to consider. Being stuck with a "non-supported phone" with months left in your contract could force you into an early upgrade. This may convince you that you need the latest and greatest. Or it may tell you that you can save a few dollars and get the phone that fits your needs. Unfortunately for me, I do not own a functional crystal ball. If I did, I wouldn't have gone through 9 different phones over a two year period. Yes, some of those phone purchases were directly related to my "infatuation with phones," but a few were based solely on my business and personal needs. Will your business or personal lives change enough to warrant an early upgrade? That takes an honest look at what you think your future will look like (at least your future as it relates to your cell phone needs.) If you use your Android phone for phone calls, texting, web surfing and emails, then any of the available phones will most likely fit your needs perfectly until your next upgrade date arrives. But, if you feel that you will be entering a new tech-based job, or will need global coverage, getting the newest Android phone will probably make sense for you. Should you choose Android or another type of phone? Android is not the only game in town (personally, though, I feel it is by far the best.) iPhones, Windows phones, and many other cell phone options are available. Many corporations have standardized on supporting one or two phone systems. Or, if you run your own business, you may choose to use proprietary software that only runs on one phone platform. If so, it would probably make sense that your smartphone is compatible with your standardized technology. If, however, you would rather use an open architectural operating system, (like, I don't know, maybe ANDROID) then choosing or sticking with Android is your best choice. When it comes time for a phone refresh, there are many factors to consider. The above ideas are just that, "ideas," that should be considered before making any commitment to technology. And whether that commitment is a new phone and new phone contract, or a computer system, taking the emotion out of the purchase and using a bit of logic and thinking should help you make a decision that you will be happy with until the next time you have to go through the upgrade decision.